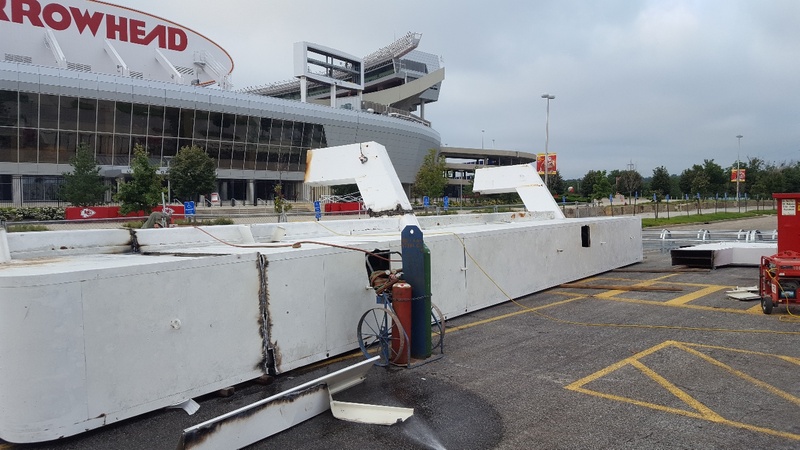 Midland Steel was chosen to fabricate and erect ad boards in the West end zone of Arrowhead Stadium. The project involved taking down the existing steel, and then fabricating the new structure. Midland Steel began the project in June, and it was completed in early August. Midland Steel was excited to be included in a project that would be seen by hundreds of thousands of football fans throughout the coming seasons. 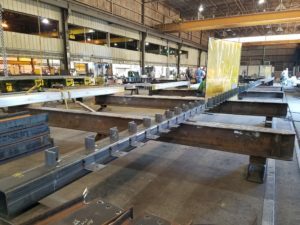 The height and weight of the steel Midland used for the project included boards that weigh 21 tons and are 53 feet long, 20 feet tall and seven feet wide. The new boards sit on existing columns that are 42 feet above the upper concourse. Midland Steel has extensive experience in a variety of sports and entertainment facilities, including the Meadowmere Amphitheater in Grandview and the football stadium at Missouri Western State University in St. Joseph, where the pros hold their training camp each summer. Located just northwest of Kansas City in Wathena, Kansas, and Riverside Missouri, respectively, Midland Steel is ideally situated to serve the Greater Kansas City and Midwestern markets. For more than half a century, they have created loyal and satisfied customers with their high quality of work and business integrity. As both the fabricator and erector of your project, you’ll enjoy a seamless experience without the potential errors and delays that come with using separate companies for these two areas. Midland Steel is certified by the American Institute of Steel Construction (AISC), which means the company meets strict standards for quality and safety. When you choose Midland Steel, you are choosing a true partner in your construction project. You will see the Midland Steel team on your site, with project managers frequently checking for quality standards to be met. If you’re planning a building project, contact Midland Steel. We look forward to hearing about the specific plans and goals you have and then discussing what Midland Steel can bring to your project.